An elderly, blind elephant will no longer be forced to beg for money on cracked feet in the streets of Mumbai, India. 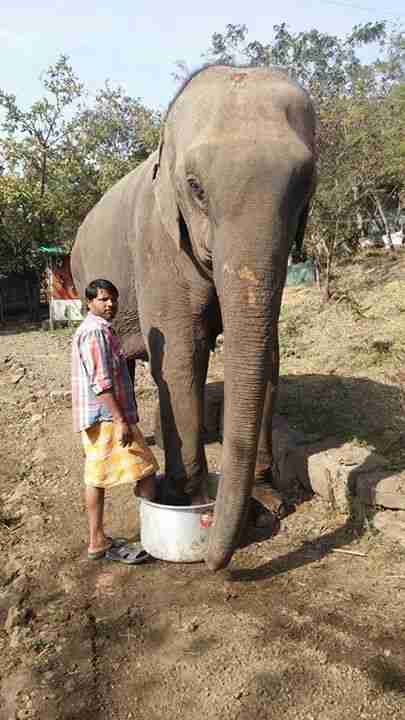 The roughly 60-year-old animal, named Lakhi, has been rescued "from a hellish life of abuse," Manoj Oswal, an animal activist with People for Animals, told The Times of India. She's headed to an elephant sanctuary where she'll live out the rest of her days in kinder company. Wildlife SOS, an animal welfare organization involved with her rescue, recounts a sobering list of how she suffered: punctured feet, pointed chains around her ankles, dehydration and wounds from whipping. Head trauma, including bullhooks to her eyes, is likely the cause of her blindness, the group said, as well as age and poor nutrition. 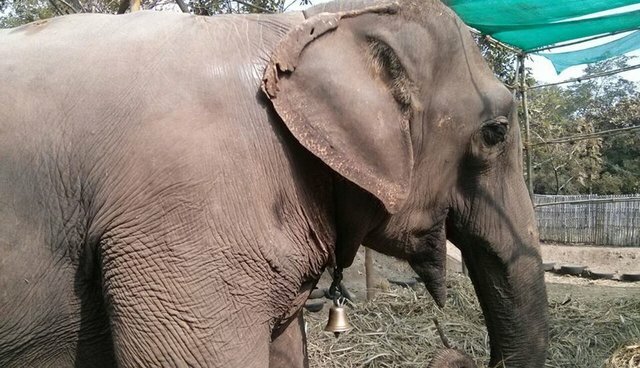 Now Lakhi is receiving the care she deserves. Here she is getting her daily medicated foot bath. "A pedicure for a beautiful girl no matter what size!" wrote RESQ Charitable Trust, the organization taking care of Lakhi until she can be moved to her new home. An Indian court handed Lakhi over to her rescuers when it became apparent she would be forced to work in a film. "The court has taken cognizance of the extreme cruelty meted out to Lakhi and her poor medical condition caused by years of torture and pain," the People for Animals chair Tanvi Kulkarni told The Times. "I am happy to see that she is finally getting justice and she will live in the company of other elephants in a completely natural environment." Lakhi will soon embark on an 800-mile trip to the Elephant Conservation and Care Center, joining pachyderms like "weeping elephant" Raju. Visit Wildlife SOS to help with the rehabilitation of Lakhi and other elephants like her.